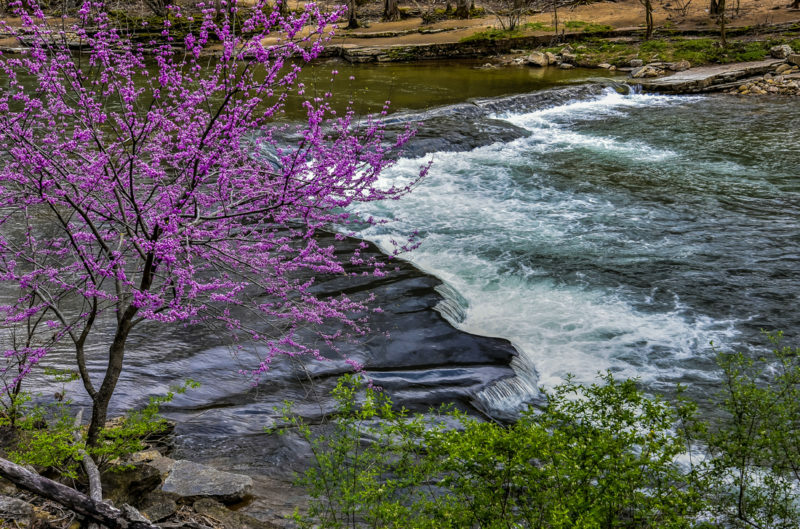 Redbud blossoms along the upper Elk River in Webster County. Photo courtesy Rick Burgess. The Elk River, a 172-mile tributary of the Kanawha River, drains about 1,550 square miles in central West Virginia (WV) and in the western Allegheny Mountains. The river rises in western Pocahontas County and flows northward across the southern corner of Randolph County, near Snowshoe Mountain, the high point in its drainage, afterwhich it turns westward and descends across Webster County, Braxton County, Clay County, and Kanawha County. It empties into the Kanawha River at Charleston, WV. The river is impounded near Sutton at Sutton Lake, centerpiece of the Elk River Wildlife Management Area. The Elk River provided the water transportation route needed to float large rafts of logs and crossties, as well as large freight canoes, out of the forests of central and eastern West Virginia in the late 1800s and early 1900s. The Elk lost its importance in this respect after the advent of railroads such the West Virginia Coal & Coke Railroad and the Baltimore & Ohio Railroad. From source to mouth, the following select cities, towns, and villages are located on or near the Elk River. 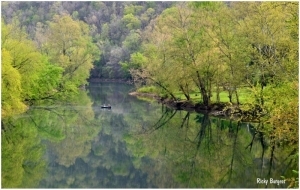 Information on lodging, dining, and recreation on and near the lower Elk River, downstream of Elkview, WV, may be found in our guide to travel in the Metro Valley Region, in central West Virginia. Information for the central segment or river, between Elkview and Sutton, may found in the Heartland Region. Information for the upper segment, including Webster Springs, may be found in the Allegheny Highlands Region. The river is featured in the Fallout 76 video game.